It doesn’t matter whether your are a professional knitter or a beginner. You will discover all cozy charm of your hobby thanks to the colorful yarns and detailed guides from our store. Books that will teach you to knit, crochet and tat are waiting for the moment you will choose them to learn more. We also provide some free patterns for you. Just follow simple explanations and you will be better able to do it! Welcome to our Yarn Online Store. Here you will find everything you need for knitting and crocheting. 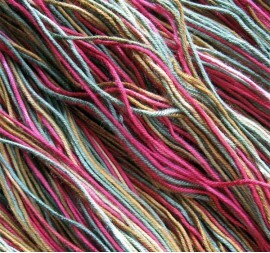 We did our best to offer you a wide range of various yarns and crochet ..